Air quality. It’s something we probably don’t think about enough, but can cause serious health problems. Indoor air pollution is in the top five environmental health risks. Health effects can occur quickly, after immediate exposure, or, sometimes, they occur over the span of years. This makes it tough to pinpoint indoor air pollution as the source of certain health problems. You may have an health issue, mild or severe, that you would never suspect is coming straight from your own home. I’ve been on a mission for the last several years to focus on all aspects of my family’s health, and that includes creating the healthiest home environment I can. 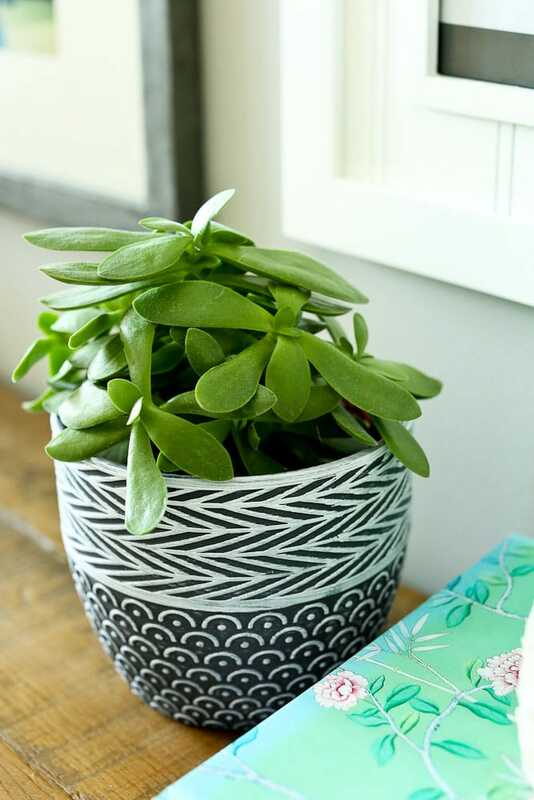 I’d like to share with you what I’ve learned over the years about indoor air pollution and specifically what you can do to clean up the air in your home. First let’s take a look at common health problems that stem from poor indoor air quality. That’s quite a list, right?! We really should all take the task of cleaning up our indoor air seriously. The World Health Organization estimates that up to 3% of the world’s disease burden can be attributed to indoor air pollution. Most cancers are now thought to be caused more by environmental factors than genetic. 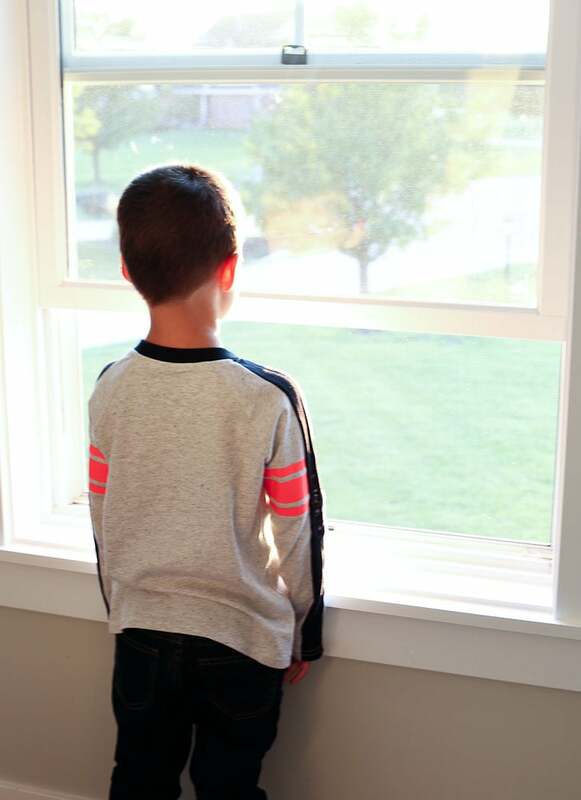 You can read more about these health problems caused by low quality indoor air on the Environmental Protection Agency’s website. So why is our indoor air so polluted? A lot of people carry the misconception that indoor air is cleaner and more pure than outdoor air. This is far from the truth. The fact is that indoor air is, at a minimum, 2-5 times more polluted than outdoor air. Every home and situation is different. The air in some homes have measured up to 100 times more polluted than outdoor air! Let’s take a look at what is polluting our indoor air. All of these things that pollute our indoor air are made worse by poor ventilation as well as high temperatures and/or humidity levels. This is compounded by the fact that people are spending less and less time outside. We’re cooped up in our air-conditioned or heated homes, with the windows shut, and all of the toxins are trapped inside for us to breathe. No wonder we have so many health issues that stem from indoor air pollution. What Can I Do to Reduce Indoor Air Pollution? I hope I’ve convinced you that this is worth your time. 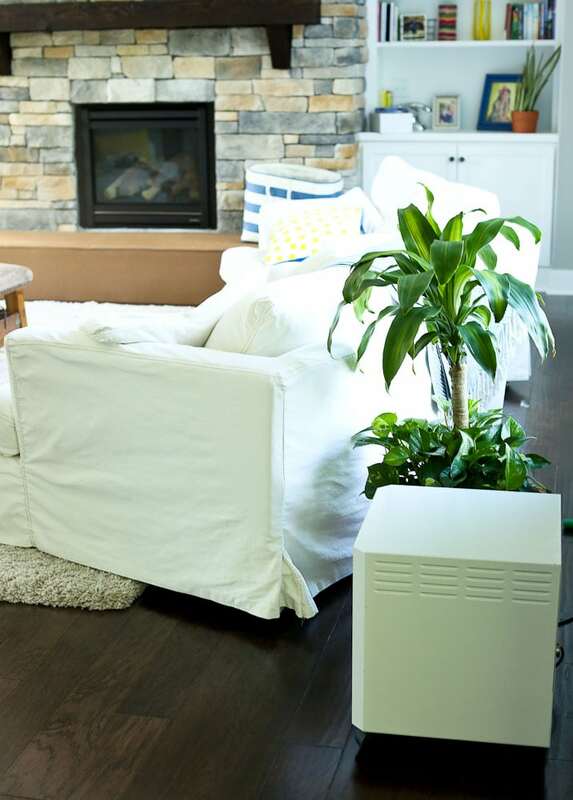 Reducing the air pollution in your home can have a dramatic effect if you’re suffering from one of the many possible health issues associated with poor air quality. This is especially true if you or someone in your family suffers from chemical sensitivity or asthma. I urge you to put reducing indoor air pollution at the top of your priority list. Even if you don’t have any visible or obvious health issues that you can contribute to indoor air pollution, there may be hidden problems that could take years to surface. Be proactive and do all you can to have pure, clean air for you and your family to breathe. Step 1: Eliminate as many sources of pollution as you can. Unless you have the resources to build a totally green house from scratch as well as only safe furnishings, etc., you’ll never be able to eliminate all of the environmental toxins in your home. All we can do is strive to reduce them as much as we can. Use natural products for cleaning and for your personal care. If you like to have smells in the air, diffuse essential oils instead of using candles and don’t use any sort of air fresheners. 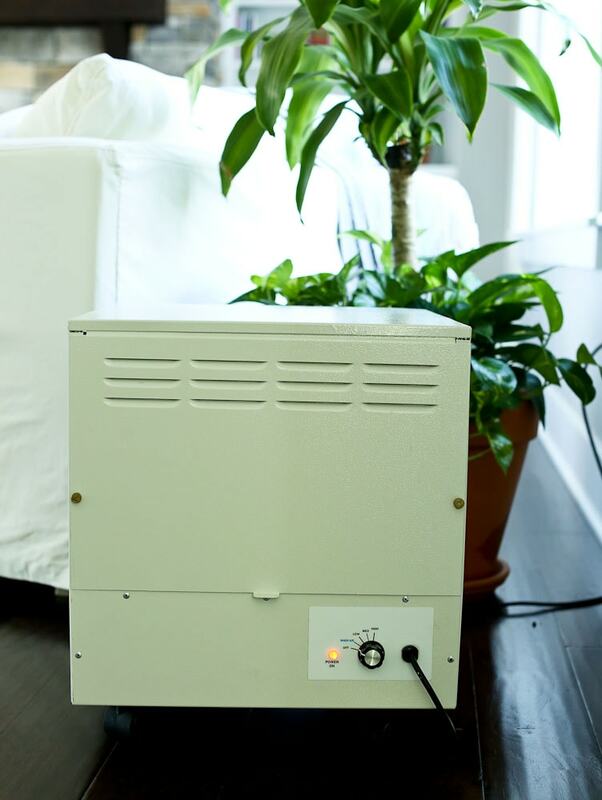 Clean air conditioners, humidifiers, and dehumidifiers regularly. 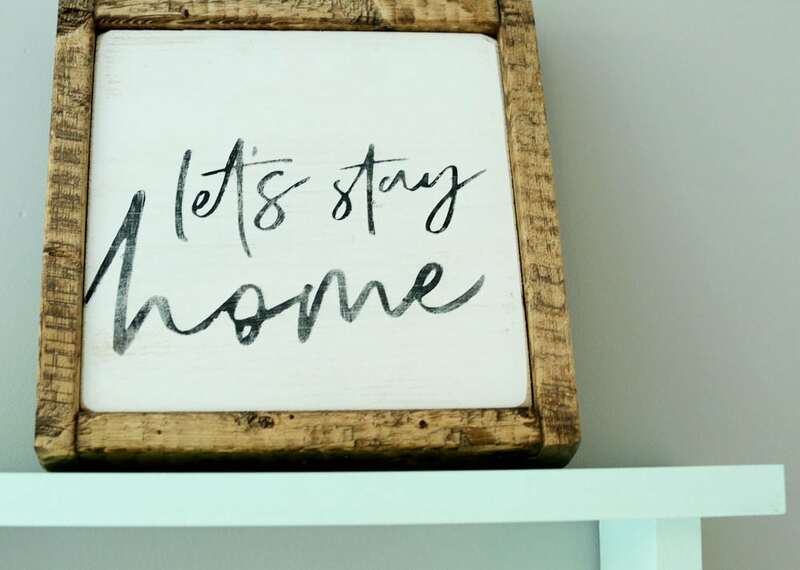 Use VOC-free paints and craft products as much as possible. All of these things can help you to eliminate the sources of your indoor air pollution. Step 2: Regularly ventilate the air in your home. Exchanging air between the indoors and outdoors is an effective strategy for reducing the indoor pollution. It’s probably the easiest thing you can do, as well! Simply open your windows. Aim for at least 10 minutes each day, longer if you can. Another thing to remember is to use exhaust fans when cooking and showering or using hot water in the bathroom. Step 3: Clean your indoor air. Because we can’t totally eliminate all of the toxins inside our home, we all likely have polluted air in our homes. That’s right. No matter how natural you try to live, your indoor air is polluted. We can reduce the chemical toxins, but we can’t eliminate them all. Ventilating the air helps, but there’s more we can do to help reduce indoor air pollution. 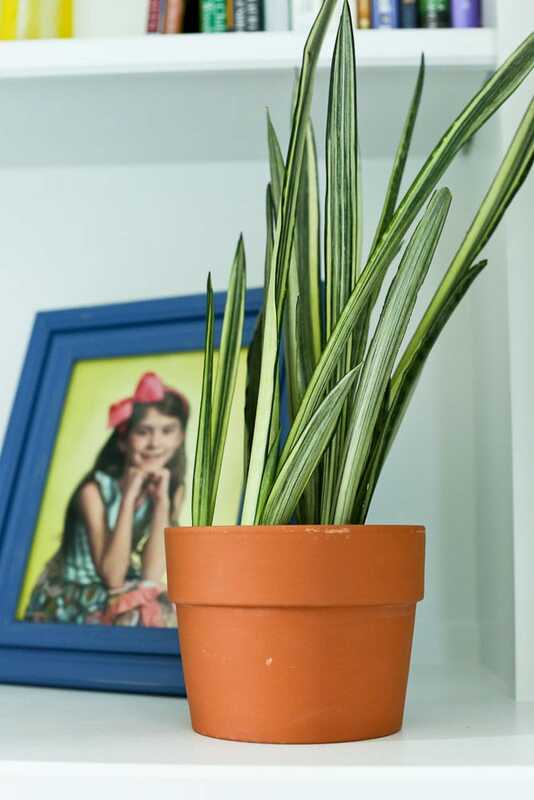 Some household plants can help purify the air. Here’s a list of 30 plants that have been deemed efficient at removing chemical vapors from the air. We’ve been slowly adding household plants to our home. I think it adds to the aesthetic of your home, so that’s an added bonus. An indoor air cleaning system can reduce the chemicals odors, fragrances, and VOCs in your air. They are there, and this is how you can help get rid of them! We recently started using the EnviroKlenz Mobile Air System and have been thoroughly impressed. This system has certified HEPA filtration, but that’s just the beginning. In addition, EnviroKlenz added their own, unique and patented EnviroKlenz Air Cartridge that does even more to remove and neutralize VOCs, malodors, and fragrances. It covers up to 850 square feet with a quiet multi-speed blower that you can adjust to meet your needs. The low setting is so quiet it’s basically silent. I thought it was turned off at first, but it’s just that quiet. And while you can hear the medium and high setting, it’s a pleasant hum of background noise…nothing that bothers us or is disruptive. Our biggest problem right now is that we want to add another unit to our home. We have one and we keep moving it to different parts of the house. Our one unit is a hot commodity! Let me give you a few examples of why I love this indoor air cleaning system so much. For a while I woke up with a very stuffy nose every morning. It was a persistent problem and I had no idea what was causing it. After one night of having the EnviroKlenz unit in our bedroom, I woke up with a clear nose. Whatever was irritating my nose, the EnvioroKlenz mobile unit took care of it quickly. One day I left a pile of dirty kitchen towels on the laundry room floor and didn’t realize some of them were wet. I walked into the laundry room and noticed a strong mildew and gross food smell immediately. I put the towels in the washing machine on hot but the smell lingered. I brought the EnviroKlenz to the laundry room and the smell was gone within minutes. We have the mobile unit stationed in our kitchen every night because it is so efficient at eliminating odors. My husband Tim is very sensitive to smells and I tend to cook stinky food like salmon, cauliflower, and Brussels sprouts. Our house smells fresh and pure even when I’m cooking those foods as long as I have the EnviroKlenz on. It’s such an amazing machine! In addition to the EnviroKlenz mobile cleaning system, we’ve also upgraded the HVAC filters we use. The EnviroKlenz HVAC filters are different than most. A typical HVAC filter removes bacteria and particles like dust and dander to keep your air cleaner and your vents debris-free. His is great, however, most HVAC filters are not designed to neutralize and remove VOCs and toxic vapors from your indoor environment. EnviroKlenz HVAC filters, on the other hand, are made with earth mineral technology to capture and destroy harmful compounds that would otherwise aggravate your sensitivities. (The kind that normally sneaks past normal HVAC filters.) The filter does not utilize carbon nor does it release any chemicals or masking agents back into your environment. I highly recommend both the EnviroKlenz Mobile Unit and their HVAC filters. I know that the EnviroKlenz Mobile Air System can help you in your goal of reducing the indoor air pollution in your home. I want to help you do that so I’ve teamed up with EnviroKlenz to bring you some really great offers. In addition, you can get 10% off your mobile unit purchase. Simply use the code mama10 at checkout. Here’s where you can learn more about the EnviroKlenz products. Clean indoor air is such an important part of your overall health. Once you understand the risks associated with indoor air pollution, you can start taking steps to reduce it in your home. Please leave any additional question or tips in the comment section! EnviroKlenz provided our family with a mobile cleaning until and links to their products are affiliate links. All opinions are, as always, my own.